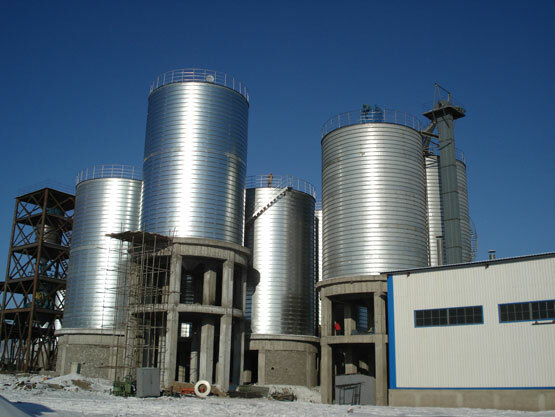 Chemicals storage silos are widely used in chemical industry for the storage of carbon black, activated carbon, calcined coke, urea, alumina, sodium carbonate, fly ash, desulphurization gypsum and other chemical products. 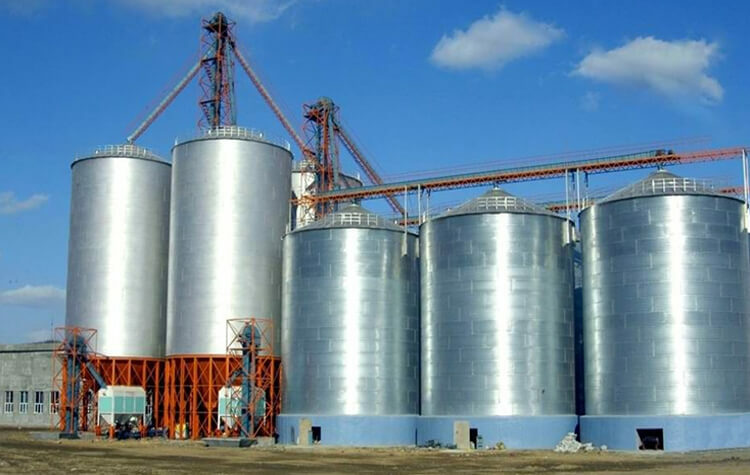 Due to the perfect storage performance, the application of chemicals storage silos makes chemical materials more easily to be transported, stored and utilized. 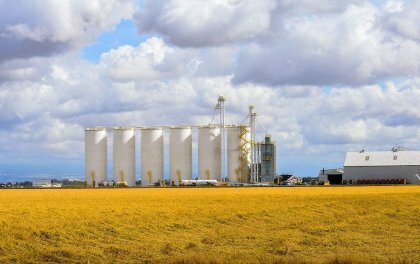 Therefore, chemical storage silos can not only streamline procedures but also contributes to the development of chemical industry. As we all know, chemicals often have high instability, and they are sometimes corrosive, toxic or even radioactive. The radioactive chemicals are stored in very thick concrete storage bin and so does the highly toxic chemicals. 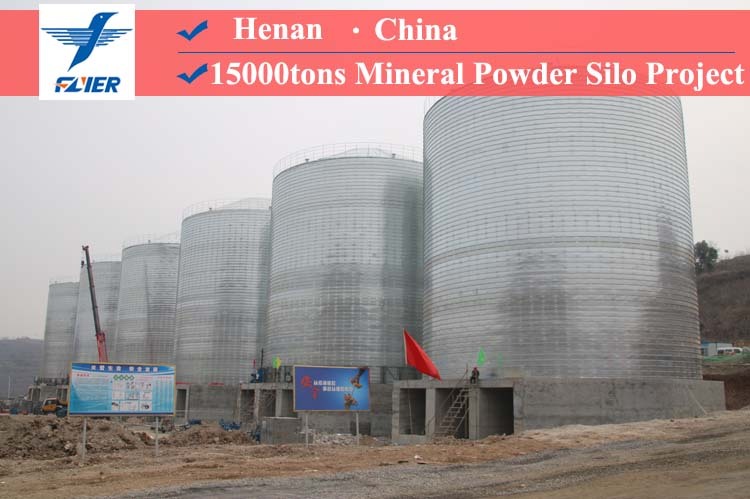 However, for the common slightly corrosive bulk chemicals, spiral chemicals steel silo is a good choice, because the steel silo is made of highly galvanized carbon steel sheet. And this kind of spiral storage silo has no bolts, which ensures good airtightness and makes it very suitable for storing the dry bulk chemicals with high volatileness. 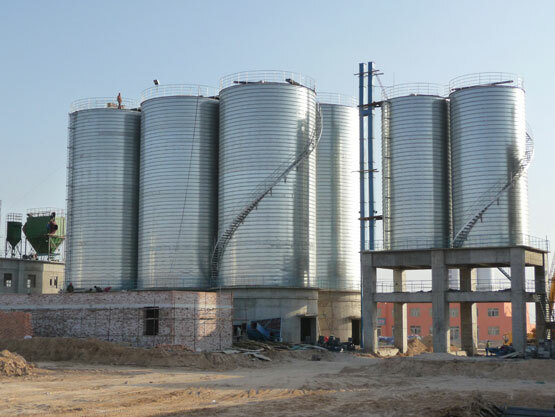 Solid and safety: Firm solid silo built to last, excellent corrosion resistance and long life span, assured material safety in silo by advanced installation system and professional effective handling methods avoiding direct sunlight and leakage. Scientific design: Fully meet the production demand; scientific and smooth process layout; no waste; easy to operate; low energy consumption; adapt to future expand. 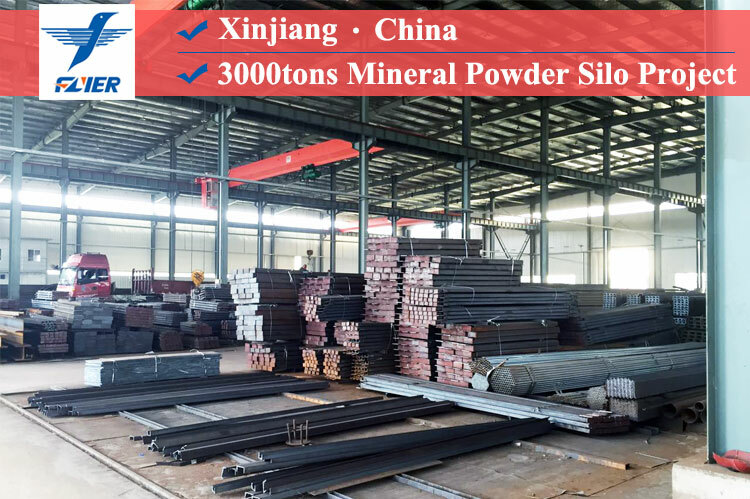 Good sealing performance: Thickness of seaming is 5 times as the steel sheet. Perfect seaming performance can prevent the bulk chemical from moisture, which ensures the quality of chemicals. Excellent sealing helps it on storage of various industrial chemicals. System stability: Whole system ensures stability; no failure rate; multi measurements to supervise the normal running of equipment and alarm to adjust if any abnormal situation happens; easy to maintenance and low maintenance costs. Friendly to the environment: Scientific designed system with reasonably lowest energy consumption; well sealed to reduce air pollution; resistance to corrosion. Roof Top: The roof is design to stand up even the harshest environment of extreme snow disaster with echo of top and down part strong structure and connecting radial ribs which is Z interconnected again itself. Roof panels incorporate with ribs with over and under lap profiles ensuring a precise fit. Body Steel Plate: A commercial 275g/m2 double galvanized steel coating increases life and durability. 450g/m2 and 600g/m2 coating are available for customized order. Each sidewall sheets are manufactured from high-tensile steel that has the ability to overcome extreme power, pressure. 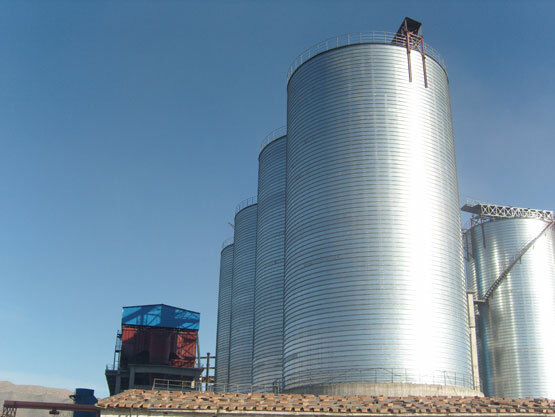 Stiffeners: We choose high tension stiffener (can be located inside or outside silo) profiles make silos stronger allowing silos to stand well even under extreme hurricane. Base stiffener boots are coated so they won’t rust over time. Wind Ring: For tall silos or which needs to resist heavy wind. Wind ring and brackets reduce bolt holes in stiffeners; swaged technology ensures silo power load capacity. Excellent welding technology: We have excellent welding technology. After the chemicals are set, our experienced workers would seal the stiffeners to make the silo more solidity. 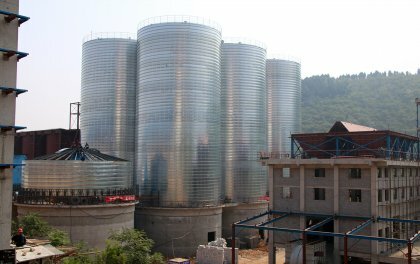 Chemical storage silo should be built in the dry, ventilated, shady and cool place. The chemicals silo should also be far away from heat and fire, and not exposed to the sunlight. Chemicals should be classified for storage in case that dangers happen. Pay attention to the chemical storage silo's regular cleaning. We can provide free clean guidance. Workers should pay attention to safety and dress in the corresponding protective equipment. Flyer is a powerful brand with strong technical strength in China specializing in the construction of different types of spiral steel silos. 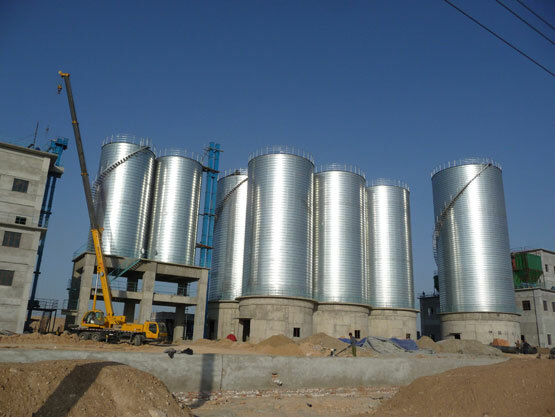 We have professional construction team and skillful workers who have more than 20 years' experience in building spiral steel silos. 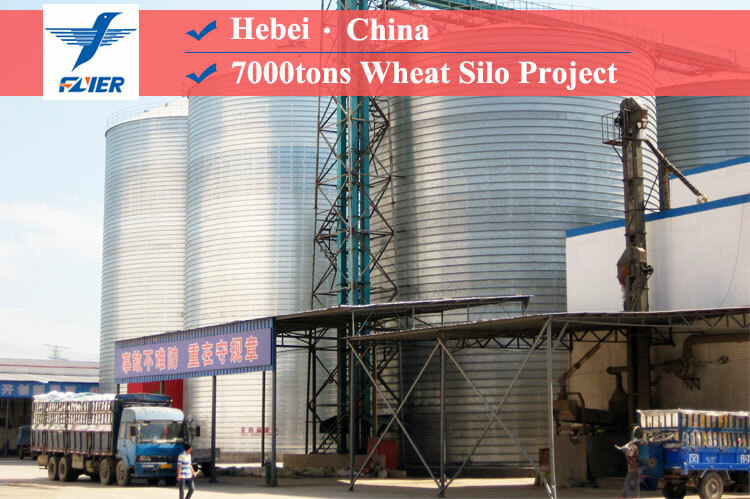 In recent ten years, we have helped more than 1000 industries like sea port grain transit center, oil processing center, commercial silo project and fly ash storage system. We have earned good reputation among our clients due to our high-quality steel silo and excellent services. And you can count on us too. We strongly believe that you will be as satisfied as other customers. 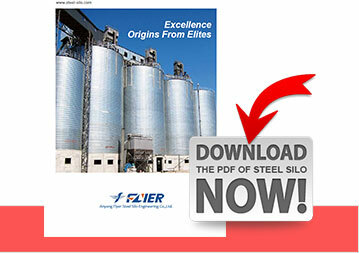 We are expecting to help you solve any problem of steel silos.